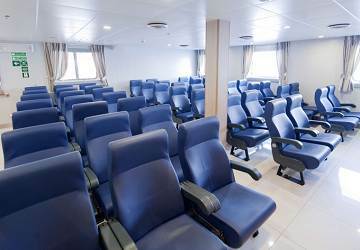 The Visemar One is a modern ferry with numerous facilities to keep you occupied during the crossing including a bar, cafeteria, cabins, children’s play area, reserved seating lounge and a solarium. 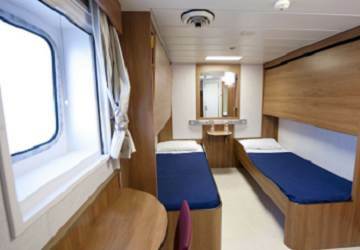 The Visemar One features numerous 4 berth en-suite cabins and 2 double cabin adapted for passengers with reduced mobility. 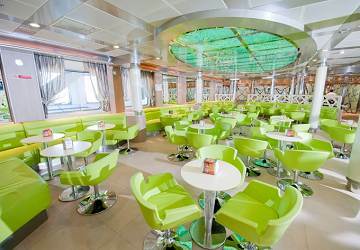 Reserved seating comes in the form of comfortable armchairs situated in the 'Sirena' lounge. 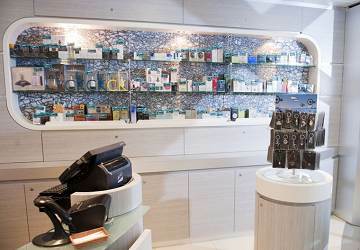 Baleària’s staff members, both on board and on land, are available to assist passengers with reduced mobility however it is advised to mention if assistance is required both when making the reservation and when checking in. Please Note: Whilst we have taken great care in making our Visemar One guide as accurate as possible, onboard facilities, services and entertainment may vary depending on the date and time of year that you travel, facilities mentioned may change without notification and ferry companies reserve the right to operate vessels other than those mentioned at time of booking without prior notification. It was an absolutely glorious day! I lounge about sunbathing and watching the glittering peaks of the waves. Refreshments were a bit expensive but the sea! I would never have know how calm it was out there if I had not seen it. Wonderful. Would recommend it strongly as a relaxing day and way of travelling. I have nothing to complain. Overall it was a good experience...I and my wife both enjoyed the travel by ship. Cleanliness needs to be improved on ships. 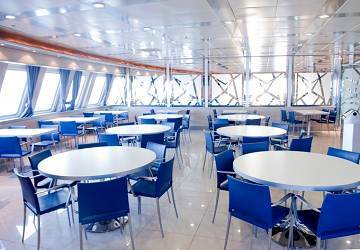 "Review of my out and return trip, Barcelona - Palma"
the food in the cafeteria was cold, all the rest very good. Fabulous trip. Very smooth and comfortable. Only issue is we pre booked tickets and though we would get our interrail discount when there but apparently you only get the discount when actually buying tickets at the desk. We had booked first class seats (without realising it) but they were extremely comfortable. I'd also recommend ear plugs because you do have people up and around during the night and also a movie is played on a screen. Overall a very pleasant trip. The outbound to Valencia was normal. But, the return trip a complete disaster, people sleeping on the halls, is seats, doing their own "camping areas", children lying on the floors… the public area of cafeteria totally crowded, people sleeping even on the floor. I don't know if it is due to take advantage and sell more tickets over the capacity, but honestly If I can I'll avoid to come back. We drove through Europe to take the ferry from Barcelona to Palma, Mallorca. It works great when you book via Direct ferries. Nice air style seats and a comfortable journey throughout the night. The only tricky thing was to find where the ferry departs from and to check in. It's all very "Spanish". 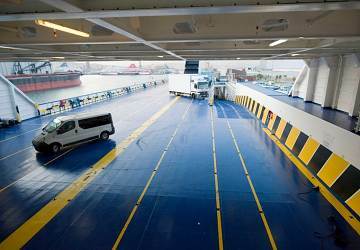 We will definitely use Direct ferries again! All as expectation any accident, punctuality, animation in outbound and return , a very competitive price above all in our case (4 adultswith car and cabin). Although we book and pay in advance, we still have to go to the Balearia ticket office in Barcelona to confirm. It's unbelievable! 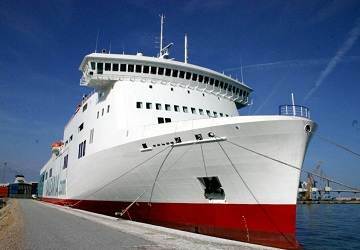 "Ferry trip review R/T Barcelona - Palma"
We are fans of your company and we would like the French language to be used in the same proportions than English or Spanish (there are more and more French people in the Baleares!!! 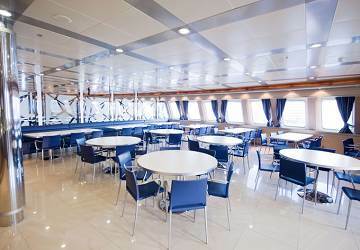 We are always receive a warm welcome from the staff, the facilities and the catering are decent, the ferry is well maintained. The weak link is the punctuality. How can I get a season ticket between Barcelona, Ibiza and Denia? Very good organized to and from Palma de Mallroca and Barcelona. I will do this journey again. Thank you. Overall good if you are a person that likes to watch the sea and you are not in a rush. The seats are not the most comfortable option if you are spending the night. The ships stable and comfortable but they should extent the bar opening times or at least have some more entertainment options. Attention and service from staff was excellent. The staff were friendly and helped us get our luggage to our cabin. The cabin was very clean and comfy. The complimentary water was thoughtful. We were able to relax and sleep in private which was so important to us. I will definitely book again. "Good alternative instead of the flight"
Nice way of travelling, and very central as well from both Palma de Mallorca and Barcelona. The time table wasn't the best with departures from Barcelona but it was better from Palma de Mallorca. 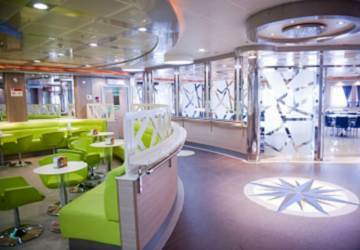 You need to have some patience as ferrys isn't effective as in Sardinia. I took my Grandfather on this service and he is a very slow walker and a little unsteady under foot. We parked the car on the car deck and my Grandfather had to climb many many stairs which proved to be very difficult. The staff help my Grandfather and even gave him a cabin on the house so that he could rest his feet for his trouble. What a service 10 out of 10. A BIG THANK YOU. Very good service. No signs to find the ferry. Plan much too vague. Despite dozens of phone calls and pers appearance at the ticket office in Palma, I had to buy a new ticket for my fellow :-( Have also called several times with direct-ferries .... first it was said that a transfer to a different name is not a problem .... then no more response! That was a shame.